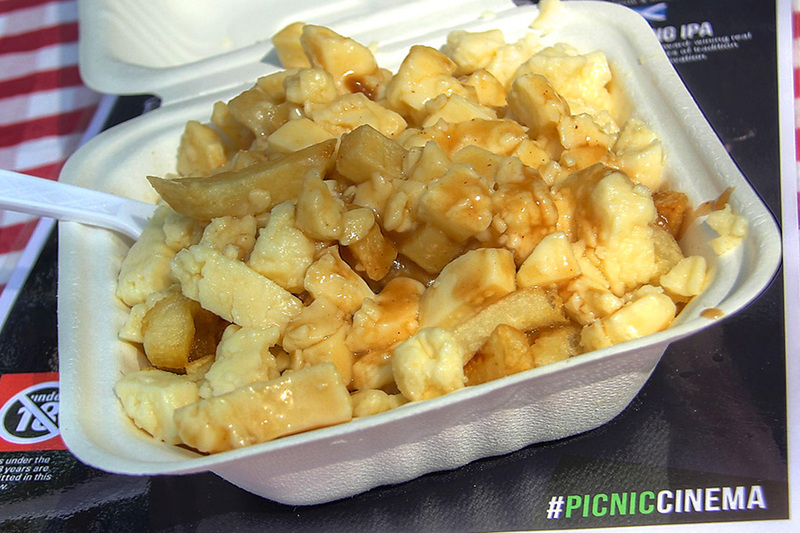 It was during a family trip to Montreal that I developed an instant adoration for poutine— Canada’s favorite dish. 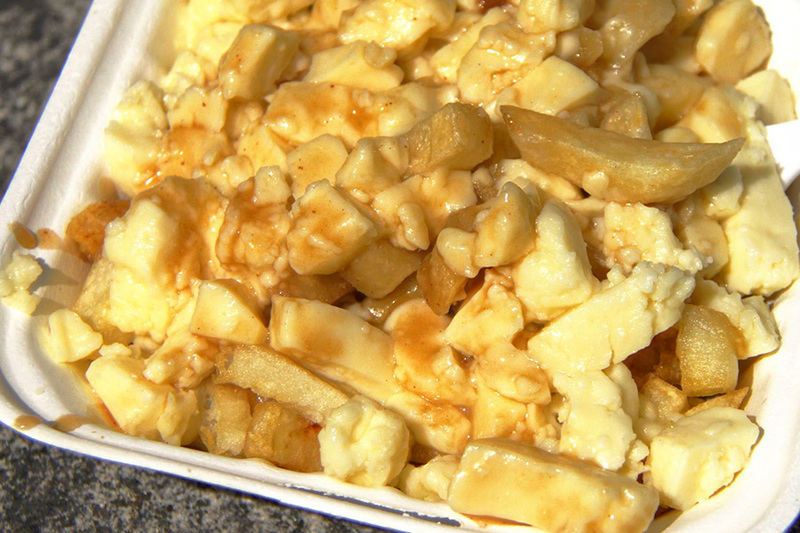 A popular treat food, snack, or quick meal, poutine consists of fries, gravy, and cheese. Or so one would think, at first glance. Upon eating one’s first forkful, it’s evident that this dish doesn’t use your run-of-the-mill cheese that’s sold in blocks at the grocery. It’s milder in flavor, but with a slightly springy texture. That’s because the cheese in poutine is in fact cheese curds: fresh, raw, unprocessed cheese that hasn’t yet been pressed or molded into shapes. Any dish claiming to be poutine that uses regular cheese, instead of cheese curds, is a pretender and a fraud. No one knows this better than Montreal native Sebastien Bonenfant, who’s been successfully spreading the poutine love throughout the Illawarra region with his wife Kaz since 2014. The couple have recently turned their sights to Western Sydney, bringing their pop-up shop, Le Montreal Shack, to the PicNic Cinema festival in Parramatta’s Prince Alfred Square. “This is the real stuff!” Sebastien beams, scooping up a mound of pale yellow cheese curds. “We call this the ‘squeaky cheese’.” The cheese curds, newly made and flash-frozen, contain tiny air spaces that give them a very slightly bouncy texture. This produces a tiny “squeak” against one’s teeth when the curds are chewed. Freshness is a critical factor for cheese curds, as they lose their signature “squeak” if they go unused for too long. Thankfully this isn’t a problem for Le Montreal Shack’s curds, as their poutine is just so tasty that it flies right out the door. Along with the creamy, squishy-yet-bouncy cheese curds, it has beautifully cooked golden-brown fries with fluffy, yielding insides and a smoky, savory gravy with notes of caramelized onion. “Poutine is a social food, a comfort food. We do a lot of business at night, when temperatures are cooler and people want something warm to keep their strength up,” says Sebastien. But as with other extremely delicious things, Le Montreal Shack’s poutine is really something to enjoy at any time of day. Aside from poutine, Le Montreal Shack also produces delectable smoked beef briskets with Canadian maple syrup. These can be added to an order of poutine for extra indulgence, or savored in a sandwich. Would you like fries with that? Of course you would; it’s poutine! The cheese: Le Montreal Shack uses fresh, raw (and wonderfully squeaky!) cheese curds imported from Montreal. The sauce: Not simply your everyday beef or chicken gravy, Le Montreal Shack’s rich, meaty sauce uses a signature proprietary blend of seasonings also imported from Montreal. The fries: “Not like those thick, fat fries or those thin little ones– these are just right, 10-millimeter square edges, hand-cut!” says Sebastien. “And they’re fried twice: once to get them soft and light on the inside, and again to make them all toasty and crispy on the outside.” Even the potato variant is specially selected to produce fries with a tender, not-too-floury interior; Sebastien sources his potatoes from a trusted farm in Unanderra. Le Montreal Shack is currently at the PicNic Cinema in Prince Alfred Square, Parramatta from now until April 23, 2016. Their next stop will be the Wings Over Illawarra air show at Illawarra Regional Airport, from April 30 to May 1. *Looking for more info? Click away!